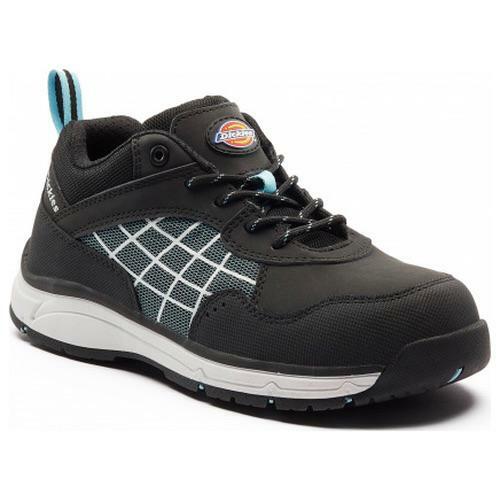 The Dickies Elora safety trainers feature a composite toe-cap and a non-metallic anti-penetration sole, providing a great option for women looking for a metal free safety footwear. This new trainer for 2018 has been developed specifically for ladies feet, with a slimmer heel and reducred forepart measure. They also feature anti-static properties and an SRC rated slip resistant sole. 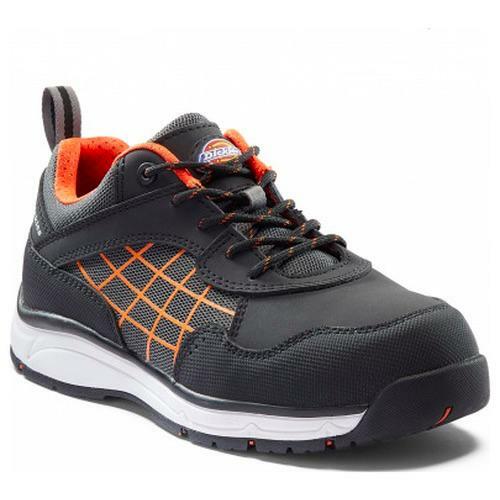 Water resistance and an energy absorbing sole also mean you will have all day comfort and remain dry in the Elora safety trainers.